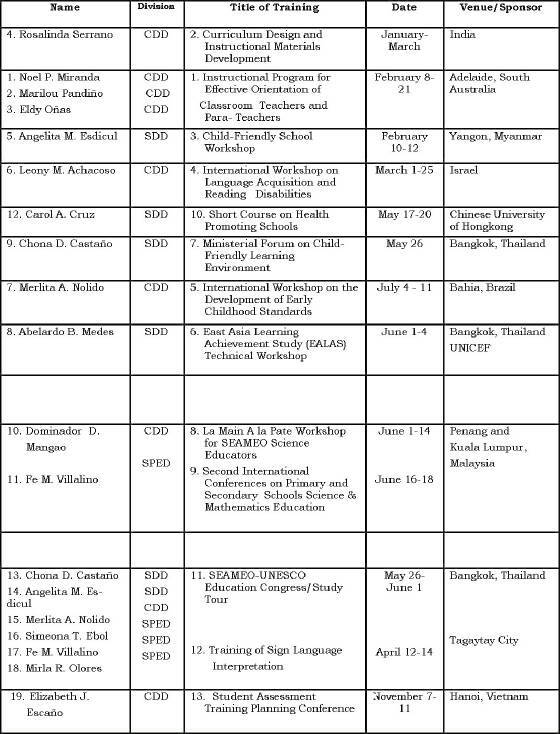 Under this program, the following were undertaken: two (2) conferences of chiefs and assistant chiefs of elementary education; two (2) LAC sessions and BEE Information Sharing Session (BISS). In BISS, eight (8) BEE personnel who were granted scholarships/training shared their learning and insights from the training they attended. 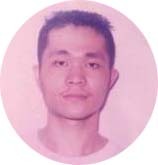 In line with the Department PRAISE Award, 2 employees from the Bureau: Ms. Thea Joy G. Manalo, EPS II of the Staff Development Division and Mr. Ferdinand S. Bergado, Clerk I of the Curriculum Development Division were chosen as the “DepEd Most Outstanding Employees” – Levels I & II, respectively. 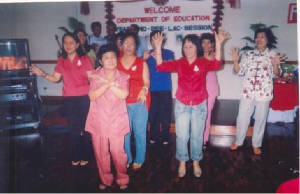 In addition, SDD-BEE was adjudged “Best Organizational Unit”. 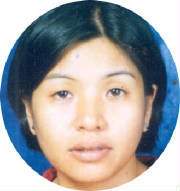 It was a grand slam for the bureau having garnered all the awards. 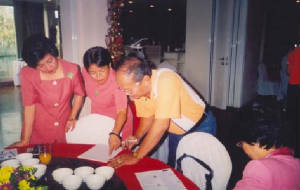 The Year-End BEE LAC Session was conducted on December 20, 2004 at Aloha Hotel, Manila. 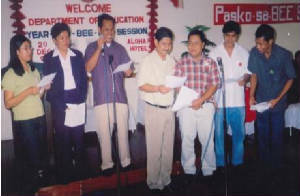 The activities undertaken were the giving of awards on “Best in Attendance” to deserving personnel, greeting the July to December birthday celebrators paying tribute to the retirees, Mr. Ricardo Faderon, Senior EPS of the Curriculum Development Division and Ms. Leticia Bertumen, EPS II of the Special Education Division and welcoming the new personnel/staff of the bureau. 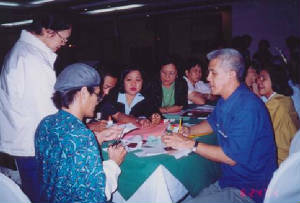 The 41st Conference held on April 19-23, 2004 at the Banaue Hotel, Banaue, Ifugao was hosted by Cordillera Administrative Region (CAR). With the theme “BEC Future Directions”, the conference aimed to identify problems/critical areas in the pilot implementation of BEC/Rating System; formulate a draft implementing guidelines for the implementation of BEC; determine the status of Phil-IRI and the corresponding interventions I mplemented; orient participants on the pilot implementation of APPES; and strengthen linkages between and among regions and the Bureau. The conference was enriched with a cultural and historical visit to beautiful sites in Mt. Province, Sagada and Banaue. 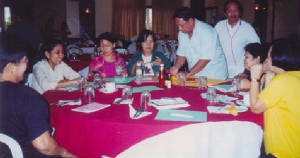 The 42nd National Work-Conference of Chiefs and Assistant Chiefs of Elementary Education was conducted at RELC, ARMM Compound, Cotabato City and Tropicana Resort, General Santos City on November 15-19, 2004. The conference, with the theme “Enhancing ECARP for Peak Performance” was held to further address and support the “Every Child a Reader Program” (ECARP), the Department’s thrust in making every Filipino child a reader by the third grade. The presentation on NAT results on reading comprehension by division made the participants both sad and hopeful. The participants analyzed the data and ranked the divisions in their respective regions according to performance in the said areas. 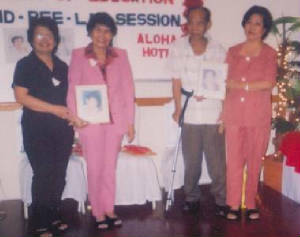 Their outputs guided their plans and priorities in support of ECARP. This is designed to enhance personnel capabilities through a systematic training system and a continuing development program.